At our AGM in July 2012 we agreed that our next major project would be the development of an underused, uninspiring corner of the park into an interactive sensory garden. The inspiration for the project stemmed from our wish to remember Claire Tansley, a local resident who was a very active member of the group and a person who contributed in so many ways to our local community. Sadly Claire died in February 2012. 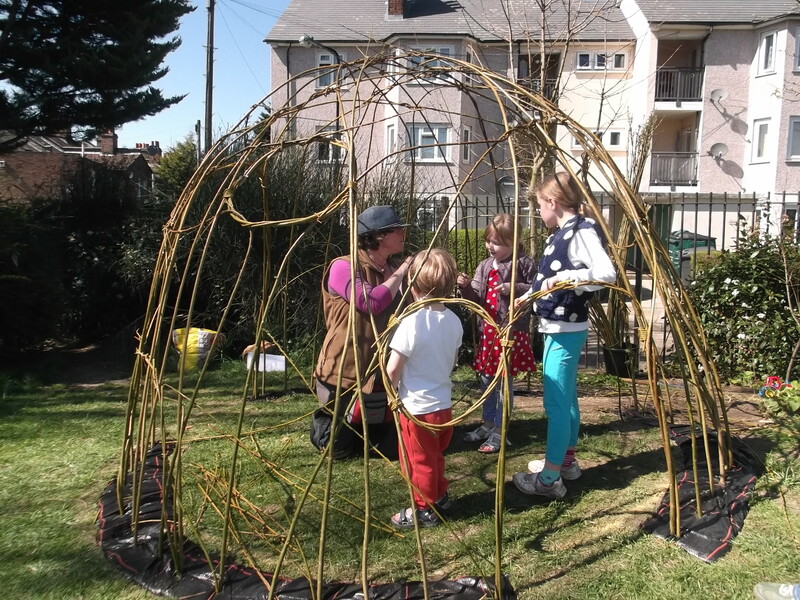 The ethos of the project is to develop a space where children can learn through play, explore their environment, introduce bio diversity and encourage families and park users to enjoy their local green space. The local authority have agreed in principle to the idea and have agreed to be co applicants for funding bids. Between October and December 2012 we ran a public consultation in the hut and asked for users views and opinions about features they would like to see in the park. We are currently developing a plan of the site based on the users views, we held a further consultation event on 13.01.13 when we built a scale model of the site.